MallPixel | Scripts Designed For Webmasters! Professional domain names parking script, it catch all your domain names and display them in elegant design view! Whatever your website visitors using, Tablet, Smart mobiles. 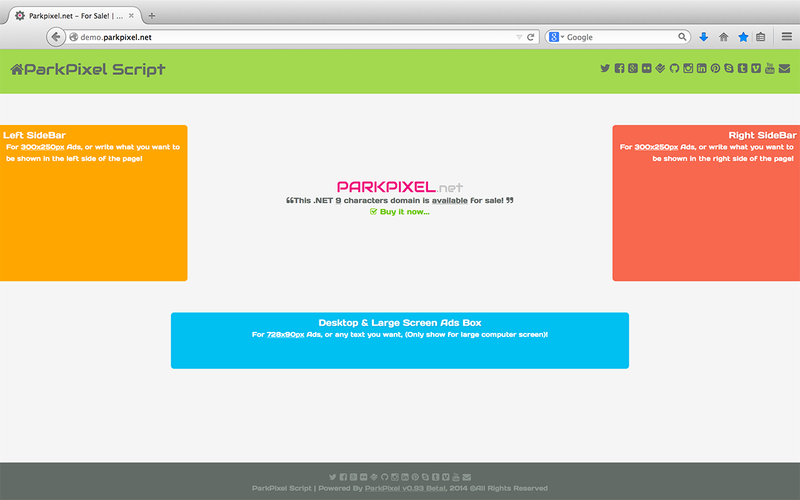 ParkPixel fit & wonderfully responsive to all of them. Elegant, Simple, Colored, Zero images & Web 2.0 Flat design, this words can describe what ParkPixel looks like. MallPixel | 2018 ©All Rights Reserved.